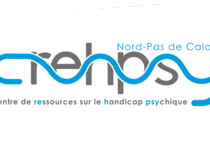 The creation of Crehpsy was authorised in June 2013 by the Agence Régional de Santé (ARS, the French regional Health Agency) and later opened in 2014. CREHPSY is a medico-social institute under the Law of 2 January 2002, funded by the ARS and managed by a Groupement de cooperation medico-social (GCMS). The latter was created in March 2014 within the framework of a partnership between the AFEJI, UNAFAM, La Vie Active and regional stakeholders: actors from the social, medico-social and health sectors, and representatives of service users and families. The objective of Crehpsy is to foster a smooth-running life for people with psychiatric disabilities and the promotion of adapted individual and group solutions, which can improve the quality of life of people with psychiatric disabilities as well as that of their family and friends. With this goal in mind, Crehpsy is developing awareness, networks and training for all public and private bodies, professionals, families and volunteers throughout the region.